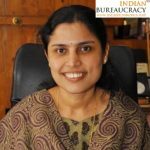 Ms. T Mithra IAS (Kerala 2009) presently Collector, Kollam has been appointed as Executive Director Suchitwa Mission , Government of Kerala. 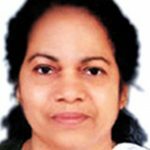 Ms P Marykutty IAS (Kerala ) presently Palakkad collector has been appointed Director Panchayat in Kerala Government. Kerala government decided to reconstitute the Higher Education Council (HEC) by making necessary amendments in the Kerala Higher Education Council Act-2007.As per the amendments, advisory boards would come under the HEC in place of advisory councils, an official release said here. 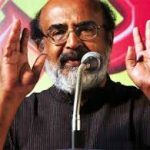 The Kerala government is investing about Rs 50,000 crore on infrastructure projects this year to enhance job opportunities for the youth, state Finance Minister Thomas Issac said .Noting that about 40 per cent of the investment has already been declared, he said the proposed investment is huge for a small state like Kerala. Kerala government’s three-day ‘massive’ cleanliness drive, aimed at checking the spread of mounting fever cases, got underway with Chief Minister Pinarayi Vijayan leading the programme.Vijayan removed the piles of garbage from the premises of a mosque in northern Kannur district. Kerala remained the only state to have recorded positive growth of about 315 per cent during 2012-14 as against 2009-11 in terms of receiving industrial entrepreneurs’ memorandum (IEM) proposals, more so as the same had seen a decline of over 65 per cent in India during the aforesaid period, according to a recent study by apex industry body ASSOCHAM. 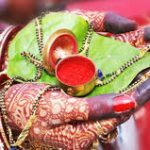 Kerala government on Thursday unveiled its much-awaited Transgender Policy, a first of its kind, envisaging to end the societal stigma towards the sexual minority group and ensure them non-discriminatory treatment.